Could there be any other goal? When we are involved in work that we find meaningful, we are at our best. Daniel Pink tells us that we find our motivation in activity that gives us three things: autonomy, having some self-determination in our work and how we do it, mastery, something that we can get better at over time, and purpose, work that we feel has value. What sort of work could that be? I imagine that that work will emerge as we get clearer on seeing ourselves as one human family - with complexities and individualities, but shared ideas of what we want and value. That's what I heard from the President the other night. We are headed that way. It's inevitable. It seems to me that once we pass the tipping point on that idea, and reject the winner/loser mentality, our first shared task will be around energy, how to produce enough of it to do all the wonderful things it does for us, but in a way that scientists tell us is vital. As Bucky Fuller summed it up years ago, instead of drawing off of our Energy Reserves, drawing off of our Energy Income. We will do this work, and it will be exciting, and the result will be elegant. What can we do now to bring us closer to this goal? That is a question I ask a lot. Gave a presentation last week at the Cusp Conference in Chicago. I observed that we're entering an exciting time where the growth and expansion in our outer journey is being informed by a growth and expansion in our inner journey. If you're interested in human potential, this is a good time to be alive. In our outer journey, humans are proving ourselves capable of anything, truly anything. We have so much intelligence. We can land a truck on Mars and operate it by solar power and remote control. We have miracle communication machines in our pockets that connect us with each other and any information we seek, anything we can imagine, including the sum total of all human knowledge, at any time. Wow. I mean, wow. Meanwhile, in the midst of all this achieving, we ask ourselves a powerful and informing question: Why? What is the meaning of all of this? To show our dominion over nature? To serve ourselves? To serve God? To achieve our potential? To create an economy? To serve the world and each other and our children and grandchildren? What's all this about? This is the defining question of our inner journey, and the way we answer changes over time. 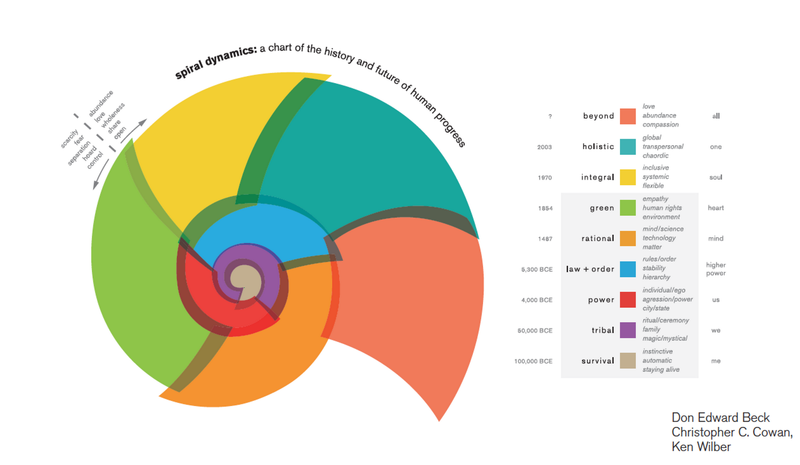 My favorite map or model for the inner journey is the spiral dynamics model, which I've written about before. I created my own version of the model for the presentation. A few people asked me to share it, so here it is. The map is built on a nautilus shell. The text box contains the names and summaries of the different memes or stages or mindsets. 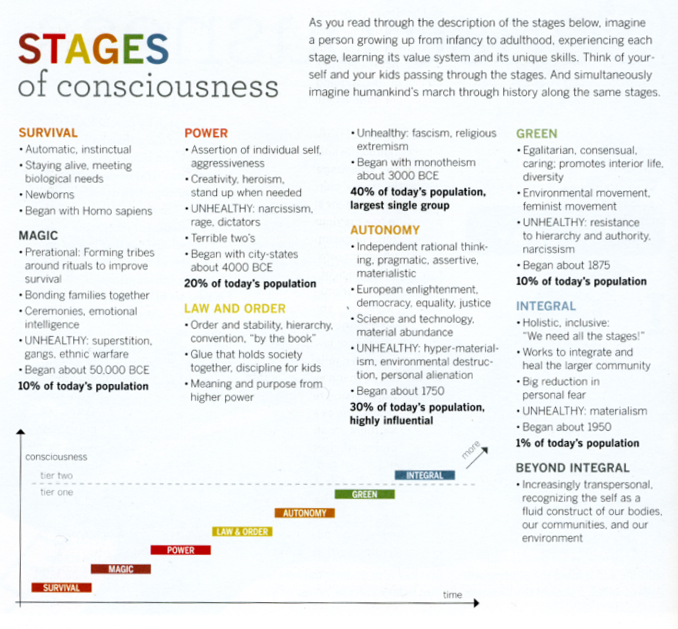 Each new stage transcends the one that came before it and creates a new worldview with new defining principles. Red's "might = right" is replaced by blue's higher order/law. Orange's Science/mind trumps blue's God/faith. And green's Humanity/earth-awareness trumps Science and everything else. In yellow we get to the second tier, the first meme to exist not in opposition to another, but one which sees all stages and colors as beneficial and part of the whole. 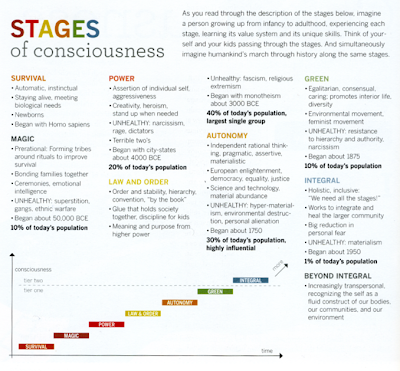 Integral culture. In yellow we see the world for the first time as complete, whole, abundant. The poster child for the yellow meme could be Buckminster Fuller, who believed in the potential of human beings to do what had never been imagined, "to make the world work for 100% of humanity in the shortest possible time through spontaneous cooperation without ecological offense or the disadvantage of anyone." It can feel like chaos as the old and outdated stories we've been depending on for years push against each other and fail and show their incompleteness, but this is the time when new and more inclusive stories like Bucky's are emerging. Inevitable? No. We have to choose it. We can choose our greatest potential, or we can choose less. We have to consciously step into the journey. I'll be getting my ballot in the mail in a few weeks, and I feel lucky/privileged/grateful to be able to vote for two candidates of such ability and character and vision - Charlie Hales for Mayor, and Barack Obama for President. With Barack, I've been part of the same journey so many of us have been on, caught up in the optimism and hope of 2008, then smacked in the face with four years of reality - the bright moments along with mild to crushing disappointment in our inability to get it together as a country more quickly, especially politically. I'm still a believer in Barack Obama, amazed by his grace and courage and strength and integrity in the last four years. I believe Bill Clinton, that Barack has done the right things, and we will feel it in the next four years. More importantly than his policies, I believe Barack has a vision and narrative that's big enough for all of us, and that this vision is in step with the larger story that is emerging about who human beings are and what we are capable of. I expect him to win, and I'll be doing what I can to help him. "Hope is not a destination," I was reminded by a friend yesterday. "Hope is fuel for us to create the world we want for our daughters and grandchildren." That's not Barack's work, that's our work. We have work to do in re-imagining and rebuilding the systems and stories that no longer serve us. We're doing that, all over the place, and seeing better ideas emerge and take root in health care, in medicine, in education, in food, in transportation, in energy, in social justice. This work is happening, all around us. Reaching towards what's possible and working together to build it. In Portland, Charlie Hales is fighting for the chance to lead our city in that work. 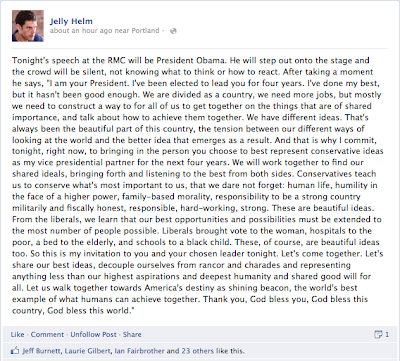 I shared my thoughts on Charlie in the primary, and my conviction remains. He and Jeff share a compelling and heartfelt and inclusive vision for the city, but Charlie is simply more qualified to pull it off. That's nothing against Jeff, I can't imagine anyone better qualified than Charlie. He seems tailor-made for this job. I hope as Mayor, he can figure out how to get Jeff's mind and heart involved in a big way for this city. I'm on an OPB radio show this morning called Think Out Loud. My friend Courtenay Hameister suggested they invite me, so they did. They invited me to be part of a segment called Culture Club, where a handful of locals talk in conversation about the events of the week. They asked that I give them a list of three or so topics that had caught my attention this week. The other guests would do the same, and then the Think Out Loud team pick what we'd discuss on the air. Yesterday I gave them four topics that had grabbed me this week. It wasn't hard; it's been an interesting week. First, the Neil DeGrasse Tyson interview! It trumps everything, as far as I'm concerned. TIME magazine has a video series where they ask leading thinkers 10 questions. The video being passed around this week is excerpted from their interview with Neil DeGrasse Tyson, the director of the Hayden Planetarium at the Museum of Natural History. The interviewer asks: "What is the most astounding fact you can share with us about the Universe?" The second topic I suggested was the Kony 2012 campaign. I'm sure I don't have to describe it, it's exploded so big and so fast on the Internet. 50 million views of the thirty minute video since Tuesday? Wow. I had to buy a copy of the New York Times this morning when I saw it had made the front page, above the fold. Wow. The third topic I suggested was "Super Tuesday," and the Republicans' failure to construct a relevant or working narrative. Yesterday they called me back and told me they had selected Kony as our primary discussion topic. It made me a little nervous but also excited. It's a fascinating and rich topic. This Monday I'd never heard of Joseph Kony. Few had. That morning I got an email from a colleague I'm working with, a web designer, also a critical theorist. "Have you seen this?" she wrote. "Smart and targeted storytelling with meaning." I clicked on the link. It was a landing page with instructions that I was to watch the video (thirty minutes!?) and then share it on Facebook because it was going to be the biggest thing ever! I was immediately dubious, but respected the source, so I thought, okay, I don't have time to watch the whole thing, but I'll watch a few minutes and see what it's about. Thirty minutes later, with tears in my eyes. I sat stunned, staring at the screen. Betsy and Mark had both come in while I was watching, and were sitting at their desks. "You have to see this," I told them. And, since Monday, that's happened several million times. What's the film about? Well, nominally the campaign is about stopping an obscure Ugandan warlord named Joseph Kony. But for me, the reason the video is remarkable is that it's the best combination of cause marketing, emotional storytelling, internet swellery, power to the people and Hope marketing I've ever seen. Yellow band meets Girl Effect meets Obama '08 meets Arab Spring. I'm sure it's being studied by all the marketing folks already (How can we do this for Bleu Cheese Pringles? ), it'll be a college case study next semester. And even as I suppressed my cynicism, my emotional reaction was evident that there's something undeniably powerful about the storytelling here, especially the people who tell their story in the film, particularly the Africans. You haven't seen it? Take a look. It's gone up by 5 million views since I started writing this blog post. Holy cow. Four of us discussed the campaign over coffee Wednesday, all of us astounded by it. In barely a day, 11 million had watched it. Yes, a couple of us also had some problems with aspects of it, particularly how the filmmaker exploited his young son - and his suspiciously egoic and charismatic central role - but mostly, we were impressed by the way the team had combined a lot of tools and best practices around a meaningful cause and the reaction it had created. Later that afternoon, the friend who had turned me onto the video was now sending me a link from Wil Wheaton's blog with a critical counterbalance to the Kony video. Wow. Confirmed some of my initial instincts... Hm. How am I to think about it now? Out loud. Live. On the radio. Shortly. Well. It's a lot to think about. I have to take a deep breath. It's complex. I still have an optimistic and positive to reaction to it. Wheaton's criticism seems fair to me, with important questions asked about the people behind the project and efficacy of the proposed solution. But the center of the energy of the story for me is just how many people have been drawn to it, wholeheartedly. My guess is that this energy will translate not to the filmmaker's desired outcome necessarily, but thoughtful discussion around the issue. 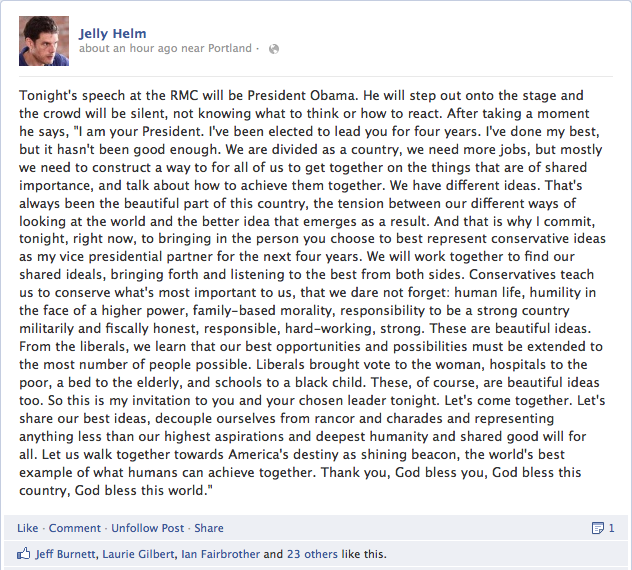 It's inspiring to me to see the internet being used as a force to draw us together around our greatest aspirations. I wonder how the Internet's presence might have accelerated progress on Apartheid in South Africa or Civil Rights in the US, or Hitler's rise in the thirties? What will it mean for the future? It's mind-boggling to think about. I also believe the Kony phenomenon is evidence of our hunger for meaningful story. We're story-deprived right now, socially. Many of the stories we've depended on in the past are bent and distorted and broken and no longer relevant. This is the cause of a lot of our cultural confusion. How we behave as a people and in our systems, aligned with old and broken and irrelevant stories, is not consistent with the deepest truths that we know about ourselves and the Universe. Buckminster Fuller was saying it years ago, and it's even more true now. All the churn we feel around us, is, I believe, us struggling to write and create and step into and live new (old) stories, relevant to the world we live in, and the people we are, at this moment. We're hungry for a uniting story, a narrative that feeds and nourishes our greatest potential. That's what Kony is about, to me. I'm not sure if we'll get into this deep on the radio, but we'll see. Tune in and ask questions at 9:40 this morning! I think it's live! I'm nervous! I park my car in a parking lot that spans a city block. I get here early, so I have my pick of spaces, and I park in the corner. I park my wheels right next to a cement curb the size of a balance beam, about six inches high. It runs the length of the lot from Davis Street to Couch. When I arrive really early, 5:30 or 6, sometimes I see something strange. It happened again this morning. It's dark out. Chinatown is always sketchy this early, with rough characters. On the opposite end of the lot, I see a well-dressed man, maybe in his 60s - suit, tie, wool overcoat - step up on the curb and proceed to walk, trapeze artist style, from one end of the block to the other. Sometimes he carries a briefcase or expensive looking umbrella. He is sober looking, with nothing in his expression to indicate he is doing something playful, or unexpected. He walks with calm concentration. I have seen this several times now. His feet never touch the sidewalk. When he gets to the end, he steps off the curb and proceeds across Burnside to his work, perhaps in the Bancorp Tower? Perhaps he's a lawyer? This morning it timed that he was walking towards my car just as I was parking. I was hurrying to get out of my car fast so as not to interrupt him, but just as I was closing my door, he looked up at me and stepped off onto the sidewalk to walk around me. "I'm sorry," I said. "I messed up your tightrope walk." His warmth surprised me. "Oh, that's okay," he laughed. His gentle response gave me the courage to ask a question. "How many times do you think you've done that?" He smiled again. "Oh, quite a few times. I've been here quite a number of years." I nodded and gave him the look that said: "Impressive." We parted and walked towards our respective offices, and then he added, "I fall a lot, too." A simple exchange, but it echoed in me in a funny way as I walked up the steps to my office. An encouragement for my efforts to stay on the beam? It brought to mind a conversation I had once with an executive coach. He was one of those guys who always seemed to hold it together, despite whatever insanity was happening around him. His serenity and gentle humor and clear-headedness were a marvel. What was his secret? Had he figured it out? He also smiled. "It's a faith walk," was all he would say. "We have to walk it every day." The frost on the car this morning reminded me that it's still Winter, with everything that it brings. Winter has brought its share this year, especially to people around me. Sometimes I haven't known what to do with it. But Spring is indeed coming. When I look, I see it. Trees are budding, it's getting light earlier. Miracles happening everywhere. I'm inspired by the people around me. It's a faith walk. We have to walk it every day. You fall sometimes. You get back on it the next day. 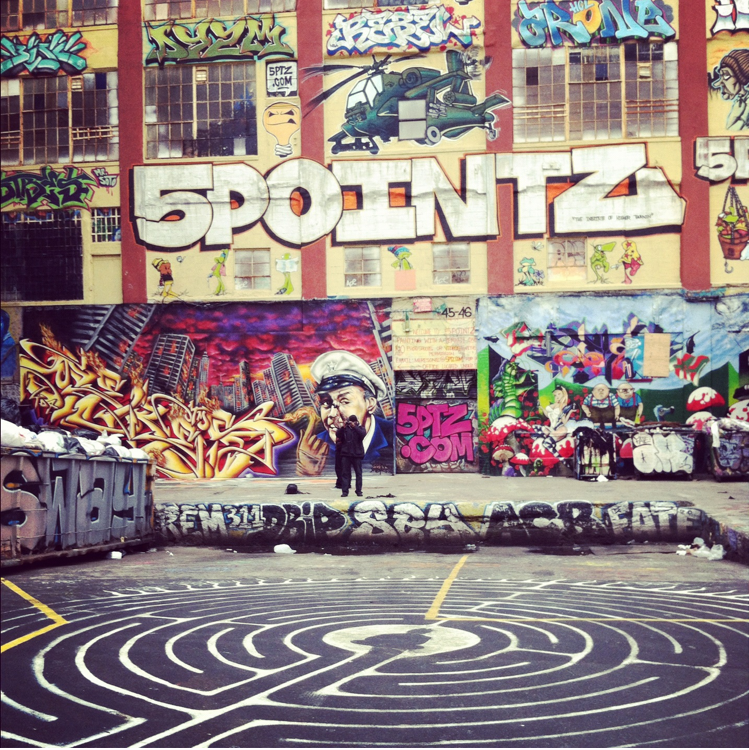 Matthew Matthew sent me this lovely photo of a labyrinth he walked recently in Queens. Friends and visitors to the studio and loyal blawg readers will know I am something of a labyrinth kook. My dad tried to get me into them, but they didn't spark for me until after he had died, really. It was 2005, and we were shooting a documentary on the Oregon Shakespeare Festival, and it was a little stressful, and I'd walk a labyrinth in downtown Ashland to unclutter my head. 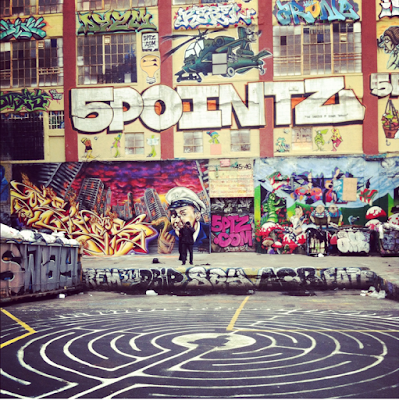 Find a labyrinth near you. If you are in a city with more than 3 coffee shops, that shouldn't be a problem. Stand at the entrance of the labyrinth. Take a deep breath. Try to clear your thoughts, then enter it. Follow the path. That's it. The labyrinth is sometimes called a walking meditation, and if you've ever tried seated meditation, you know how tricky it can be to "clear your thoughts." How do you think nothing? As you're walking the labyrinth, rather than trying to think nothing, which seems sort of impossible, simply notice what's happening as you follow the turns and twists in the path. What do you notice? Simply observe what bubbles up. And yes, if you can experiment with surrendering all thought, and simply be in your body as it walks, simply be a quiet, mindful walker - that's nice too. Half way through, you will come to the center. Some people like to stand in the middle for a little while, perhaps with eyes closed, simply breathing, reflecting on the experience of the first half of the walk. When you're ready, start walking out. Walk at a pace that feels right to you - each step deliberate and mindful, and again, trying to concentrate on being a walker through a labyrinth. I really hope you have a chance to do this sometime. You might find it pleasant or rewarding. Perhaps the patterns of the labyrinth will illuminate some patterns of your own life. It might be nothing more than 10 minutes of peaceful being, which could be reward enough. They are: Eileen Brady from New Seasons/Ecotrust, Jefferson Smith, Portland's state legislator and creator of the Bus Project, and Charlie Hales, former city councilman in the '90s and streetcar/light rail expert. I'm friends with two of the candidates, and up until three or so weeks ago, hadn't really heard of the other guy, so I was assuming I'd have to make a tough choice between Jeff and Eileen. Jeff is a great guy. He's funny, and so smart he can't get his ideas out fast enough. He also strikes me as deeply kind. People like Jeff. I worked with Eileen at Ecotrust, and she is smart too, with an abundance of big ideas. Friends support Eileen and I see why. She is tough, and committed to her ideals. Not too long ago, a parent at my son's futsal game, a friend, asked if I had heard about Charlie Hales. "No. Not really." Compared to Jefferson and Eileen, he didn't seem as exciting. "You should check him out," the friend told me. Later that week, another friend, a neighbor, told us she was hosting a meet-and-greet with Charlie in her house. "How do you know Charlie?" I asked. "I don't, really," she said. 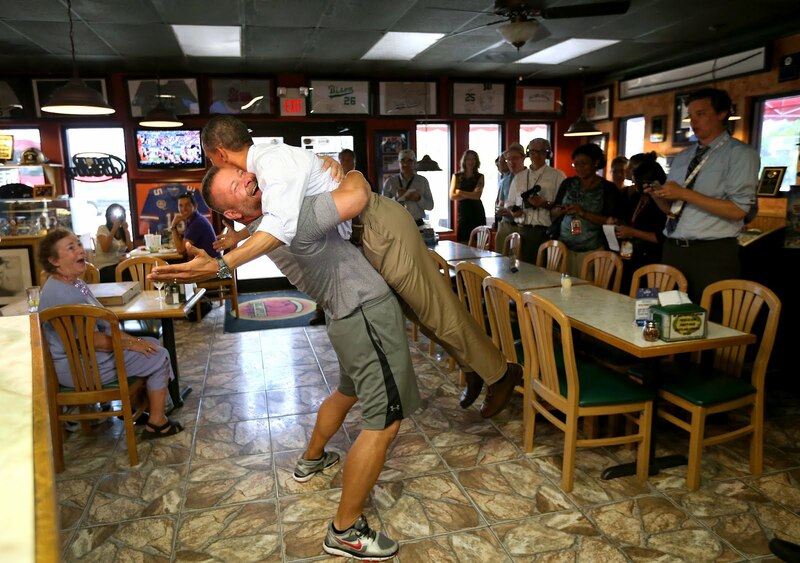 "He spoke at my work, and he impressed me." About 15 neighbors were there. Her (Italian) husband had spent the day making amazing food, including mini eggplant pizzas. Charlie's wife was there, too - Nancy, a nice woman. She told me that she and Charlie attend one of these neighborhood meetings most nights. I asked her why Charlie was doing this. "He saw that Portland was slipping a little bit, and felt he needed to run. It's a public service thing for Charlie." She also told me about his geeky love for how cities work. Charlie is returning to local government after ten years in an engineering firm, consulting with cities around the country trying to reproduce Portland's success with streetcar and light rail. Everyone grabbed a plate of food and quieted as Charlie moved to the middle of the small living room, in front of the TV. He was very open and direct. He began by saying, "No question is out-of-bounds. It's okay to ask anything." Charlie spoke for a while about the core issues he's passionate about - neighborhood policing a big one - and then answered our questions. He was impressive. I asked him why the money momentum seem to favor another candidate. "Yes, Eileen says she plans on raising a million dollars before the primary, and I don't think that's a good thing for this city. We plan on raising half that and running a good campaign." "Why isn't raising a million dollars good for the city?" I asked. "That's not what Portland politics is about. You win with shoe leather. You knock on a lot of doors, shake a lot of hands, meet in a lot of living rooms, talk to a lot of people." "What needs to happen for you to win?" I asked. "People need to realize that this isn't a race for Senior Class President," Charlie replied. "It's a job interview. It's all about who has the experience to come in and do this job." "It's not an easy job," one of Charlie's campaign volunteers later told me. He was an old friend of Charlie's and recently retired after working for the city. "It's an executive job. It's not a learn-while-you-go thing. "The first day, when you get a call from the Police Bureau or Fire Department in the middle of the night, having to make a hard decision..." he trailed off. "It'll make your hair go white, lemme tell you. It's a hard job." He smiled. "I don't know why Charlie wants to do it, to tell you the truth." Last Thursday, I attended a debate between the three candidates to help finalize my decision. The candidates fielded a wide range of issues and questions, from emergency preparedness to small business development to parking in NW. Every issue seemed to require a granular understanding of a mountain of complex factors, and it was Charlie who was up to speed and clear on all of it. His responses were concise and commonsense. His experience as a Councilman and neighborhood activist was evident. Most of his responses received spontaneous and widespread applause from the crowd. This guy clearly has what it takes to be a successful at this job. So Saturday, for the first time since walking in Louisville neighborhoods with Ron Mazzoli and Harvey Sloane back in the '70s, I knocked on doors on behalf of a candidate. I walked with Charlie and other volunteers in the Sabin neighborhood, talking to people about why I believe we'd be lucky to have Charlie as our Mayor. And I made these buttons. I'll give you or mail you one if you want.